On June 18, 2014, a bill was introduced in the U.S. House of Representatives by Cynthia Lummis (R-WY) and Tim Walz (D-MN). The bill, the National Forest System Trails Stewardship Act (H.R. 4886), would go a long way toward addressing the trail maintenance backlog on our national forests. BCHA strongly supports HR 4886. See our press release here. Go here for a copy of the bill text. Please call or write your member of Congress in the House of Representatives to express your support for HR 4886. 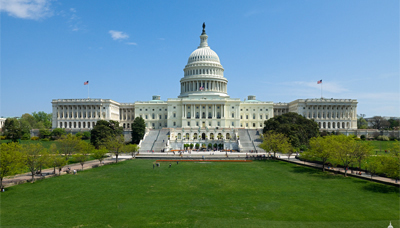 As a result of widespread bipartisan interest, the bill could sail through the House of Representatives if no controversial provisions or requests for new appropriations are added. Go to this website to find contact information for your member of Congress. In your own words, tell your representative that you support HR 4866, the National Forest System Trails Stewardship Act. Tell them of your passion for, and commitment to, keeping national forest trails open and enjoyed by horsemen and others. Lastly, please ask them to consider co-sponsoring HR 4886. If you are a resident of Wyoming or Minnesota, please include in your message a heartfelt “Thank You!” to Reps. Lummis and Walz, respectively, for introducing HR 4886 on our behalf. We are very excited to have this bill introduced in Congress. Our campaign has taken over two years to get to this point. Consequently, we believe BCHA is well-positioned–along with its partners–to continue to explore and promote lasting solutions to the trail maintenance crisis on our National Forests. Thank you! And please send letters today to you congressional representative in support of HR 4886.